All LWHS community members are welcome to join us for our first PTSA meeting of the school year. 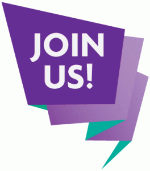 While the official meeting starts at 7:30pm, you are welcome to come socialize starting at 7pm. We will move through the business portion of our meeting as quickly as possible to get to our guest speaker, Principal Thomas, who will give us school updates and answer questions. Visit the school website for more information about special topic sessions offered and a detailed classroom visit timeline. 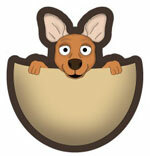 Click the Students/Family link and then Curriculum Night. Multiple factors have contributed to a much more congested pick-up time at the end of the school day. We can all pitch in to help make this experience safer and less stressful. Would you be willing and able to implement one of these solutions? Carpool, if possible! See if you can take turns doing pick-up and drop-off with a neighbor. Wait 15 extra minutes. Come to pick up your student 15 minutes after the bell rings and you will find the traffic circle is almost empty! Encourage your student to walk home if it's not too far, or carpool with friends/neighbors if driving to school. Finally, the entrance drive to the school at NE 80th St & 120th Ave NE MUST be kept clear at all times for buses & emergency vehicles. DO NOT block this entrance! You must find another place to wait for your student. Thank you so much for helping, however you can. Help Us Spruce Up LWHS! LWHS PTSA and ASB team up to lead our fall Beautification Day on Saturday, September 29, from 8:30-12:30. Set-up begins at 8:30, and students will be on campus from 9am-noon, and will be able to sign up through their coach/club advisor. Parent volunteers are needed to help direct and corral students, or join in the tasks of weeding, pruning, removing dead plants, picking up trash, sweeping and mulching. Come for all or part of the event! If you have them, please bring well-labelled garden tools and gloves to share. We will have LOTS of mulch to move, so bringing a wheelbarrow gives you HERO status at this event!! Motivating music, scrumptious snacks and delightful drinks will be provided. Community service hours will be tracked! IMPORTANT ... please print and sign the LWSD Volunteer Form and bring it to the event. Students under 18 need a parent signature. 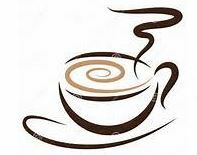 Our first 'Coffee with Christina' of the year will be on Oct 3, in the Career and Counseling Center, which is adjacent to the Commons on the first floor. Come join other LW parents for a time to connect and participate in Q&A with Principal Christina Thomas. You are free to come late or leave early as your schedule requires. Future Coffees are planned for Dec 5, Feb 6, and April 3. If your student is out 1-4 days for reasons other than being sick, they must fill out a pre-arranged absence form (page 1 only) at least a week in advance in order to ensure that the absences will be excused. If your student will be out 5 or more days for reasons other than being sick, they must fill out a pre-arranged absence form (pages 1 & 2) at least a week in advance, in order to ensure the absences will be excused. When a student is out 5 or more days, the student needs to fill out also page 2 of the form, fill in the information as it pertains, list classes, parent needs to fill in how they plan to have their student stay on top of their studies while out, the student then will retrieve all the teacher's signatures and then retrieves the parent signature and then turns it into the attendance office for administrative approval. Page 2 also must need to be completed if the total number of days is 10 or more days. The process of filling out the pre-arranged absence form is also separate in that if your student had already informed teachers, they must also inform the attendance office. This line between Teachers and Attendance is 2 different areas. This an opportunity for your student to use their creative talents to honor a hero or heroes that have had an impact on them or other individuals. What is Reflections? A National PTA and Washington State PTA cultural arts competition supported by the LWHS PTSA. Students enter a piece of art that goes through a judging process at the high school level with the potential to advance to the Council, State and National level. What are the Art Categories? Visual Arts, Music Composition, Photography, Literature, Film Production or Dance Choreography. There is also a Special Artist Division (for students with disabilities). Who can participate? Any student attending LWHS. How to get started? Review the Rules for the art category and the Checklist for Success, both located on the PTSA website/Programs or LWHS website/Students/Families. Reflect on the theme. Create a piece of art. Submit the art along with a completed Student Entry Form to the main office by the deadline. Student Entry Forms are located on the website and in the main office. Please encourage your student to sign up to audition for A Christmas Carol! Auditions - September 24th after school. Students can sign up now outside of the director's classroom 272 in 2 West. Performances - December 14 & 15. Questions? Email Director Ms. Heetbrink or LWHS Theatre Booster President. Does your student love theatre but not acting? Are they interested in helping behind the scenes as a Theater Tech? 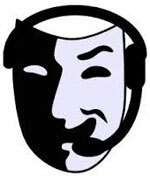 E-mail Theatre Manager Mr. Staiff to get an application for tech training, which will begin on 9/26 after school! Join us to learn more about all the exciting theatre opportunities for students at LWHS this year. Family Man. Athlete. Motivational Speaker. DOUBLE AMPUTEE. "Throughout my life there are have few if any challenges that I have not been able to succeed in accomplishing. Trials make us stronger. They raise us up to a higher plain. If we are never pushed and challenged we can never obtain our full potential. For me it was losing my legs. For you it may be school, work, parenting, or just dealing with the complexities of day to day life. 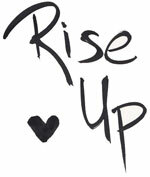 Regardless of what your challenge is, you too can find a way to RISE UP!" 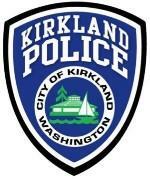 Lake Washington High School students (grades 9 - 12) are invited to the Kirkland Police Exploring Open House & Join Night. Take a tour of police headquarters, learn about the 2018-2019 events, meet current police officers. Please attend with a parent or guardian. Law Enforcement Exploring is a co-ed career education program for youth starting in 9th grade through the age of 19. 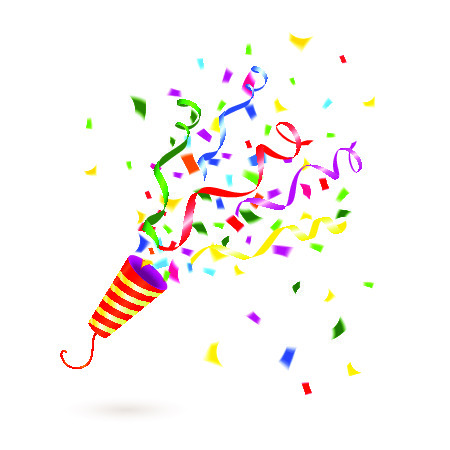 Your Senior is invited to a safe and fun-filled post-graduation all-night party sponsored by the LWHS PTSA. When: Monday, June 17, 2019 - after Graduation which is at 5pm at Hec Edmundsen Pavillion at UW. Where: It's a secret! There will be lots of great activities, entertainment and food. How do I sign-up my Senior? See details on the Information Page. Would you like to volunteer? 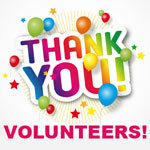 To have a safe and well-organized event, Volunteers are needed to chaperone the night of the Party. If interested, contact Senior Party Chairs. Still Have Questions: An Information Table will be at Curriculum Night, September 26th, before and after or contact Senior Party Chairs. Yearbook senior baby ads are available to parents and guardians of graduating seniors. Ads must be processed through the ASB cashier by 1pm on Wednesday, October 3rd - no exceptions. We recommend using the highest resolution photos possible; images copied from social media will not work; a combination of past and present photos and not using the senior portrait photo in the ad. A 1/6 page ad is $40 and includes two photos, and a 24 word message. A 1/3 page ad is $80 and includes three photos and a 36 word message. Please refer to the school website's Senior information section for additional details and the required form. 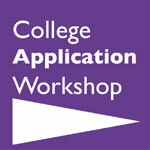 College Application Workshop launches NEXT WEEK, SEPTEMBER 26TH! Please encourage your senior to take advantage of trained volunteers who are ready to help them with their application essays, personal statements and admission interview practice. We meet in the College and Career Center on Wednesdays during morning ROO ( 9:25 - 10:05am) and after school beginning at 12:55. Students should bring their essays and appetite (lunch and snacks provided!) and we look forward to seeing them there! This PTSA program is offered to students at no cost. Bring your donations to Curriculum Night. You can help stop the spread of germs at LW! The school requests donations of facial tissues (like Kleenex) and hand sanitizer to stock our classrooms. Additionally, printer paper is needed to for the student printers, which students can access as needed. The PTSA has some funds budgeted for student supplies, but donations are also needed to get us through the year! A HUGE thank you to all the fabulous volunteers that helped with our Welcome Back Picnic, Photo Day, and Laptop Roll-Out. Because of you, these events ran smoothly and made the start of school that much more pleasant for our students and staff. You rock! Local, state, and the National PTA have worked for over 100 years toward bettering the lives of children in education, health and safety. Today's PTA is a network of millions of families, students, teachers, administrators, and business and community leaders devoted to the educational success of children and the promotion of family engagement in schools. Our students benefit from a strong PTSA. We hope that you'll continue our organization's strong membership.